FYI, announcing a new Interactive-Visuals offering … for Visual Practitioners seeking intermediate level support: The Magic Marker Mastermind. 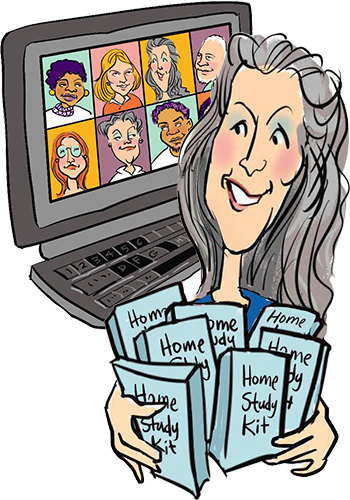 This Mastermind is for prior students of mine who have already received foundational interactive-visuals training … or others who have equivalent experience through other means. Who are ready to “rocket up” to the next level of your visual existence. It is open to all manner of Visual Practitioners (visual scribes / recorders, visual facilitators and visual coaches). Learn how to come from a place of positive expectation, appreciation and abundance rather than procrastination, negativity and scarcity (what you create is directly linked to how you habitually feel and act). The Mastermind includes 4 months of weekly online huddles (complete with private forum to share visual work), mp3 recordings (in case you miss a huddle or want to re-listen), 3 private coaching sessions with me, plus a 2 day finale retreat in beautiful Victoria, British Columbia in June — visually facilitated of course! Entrance into The Magic Marker Mastermind is via application on a first-come, first considered basis. Spots are limited to just 12 people (four of which have already been nabbed!). As a pioneering ‘visual coach’, I facilitate powerful awakening in individuals, partners and conscious businesses and am an internationally recognized coach of coaches. 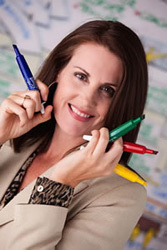 Known for my innovative visual methods and progressive mindset, my work juxtaposes my childhood love of doodling and drawing with a fascinating background in organizational and personal growth. With a Masters Degree in Organizational Development & Transformation (ODT), I began my career in the San Francisco Bay area traveling extensively throughout North America and Europe (first as an employee of The Grove Consultants International (pioneering Group Graphics firm led by David Sibbet) … then via my own independent practices). I honed my skills in strategic planning and visioning working for such notable clients as Hewlett-Packard, eBay, Stanford University, British Broadcast Corp (BBC), The Institute for the Future and The Gordon and Betty Moore Foundation, American Institute of CPAs, eBay, etc. Concurrent to corporate consulting I experienced a quickening of my spiritual path in the aftermath of the Sept. 11th tragedy (being scheduled to be in New York that fated day but rescheduled due to a synchronistic event). I transformed my work to include integration of the visual methodology with coaching and spirituality – returning to my lovely hometown of Victoria, British Columbia, Canada in 2003 and creating SHIFT-IT Coach, Inc.
Inspirationally received, my SHIFT-IT System® (comprised of 17 visual coaching tools) helps you discover and align with what you really want in work and life. 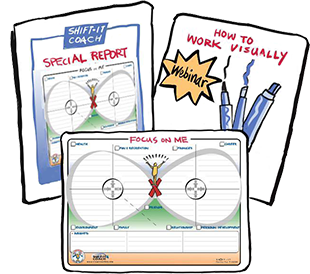 Through private coaching, mastermind groups and my popular Certified Visual Coach® and Interactive-Visuals programs I mentor scribes, facilitators, coaches, therapists and consultants from around the world on how to use visual thinking methods with their own clients. I love facilitating these kinds of specialized, intensive experiences … as participant results are so gratifying and exciting (I’m still hearing back from members of last year’s Accelerator with their ripple effects). I can just FEEL the energy of this Magic Marker experience building as this Mastermind forms and our special cohort comes together. Should you feel this is the right experience for you … to assist you on your Visual Journey … I look forward to receiving your application now! Applications received on first come, first considered basis. Deadline to apply is Feb. 24th … given the uniqueness of this program and the limited seats it will most likely fill before the deadline, so apply ASAP to secure your spot!